ARCONA Instant Magic Reversal Serum rejuvenates deep into your skin leaving it ultra-hydrated, plump and more youthful looking. 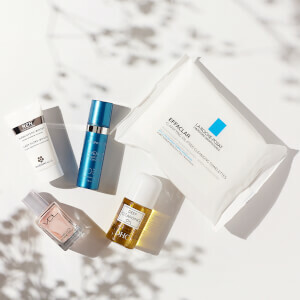 Retain moisture, reduce cellular water loss and maintain cellular integrity with cosmeceutical-grade osmoprotectants and hyaluronic acid; clarify skin and improve pigmentation issues with magnesium ascorbyl phosphate and chirally-correct arbutin; defend against free-radical damage and premature aging with antioxidant-rich milk thistle and spin trap. This powerful super serum will leave your skin looking fresh, dewy and ultra youthful. Apply to skin twice daily, including face, neck and decollete, for a rejuvenating cumulative effect. For best results use ARCONA's Cleansing Pads for cleansing, toning and prepping the skin prior to using the Instant Reversal Serum. Use the serum anytime to achieve the instant radiant, youthful glow. Powerful osmoprotectants including proline and trehalose help reduce premature aging due to intercellular water loss. Leaves skin visibly brighter and more balanced-looking. Promotes collagen synthesis and reduces intercellular inflammation. Aqua (Water), Hamamelis Virginiana (Witch Hazel) Water, Glycerin, Sodium PCA, Magnesium Ascorbyl Phosphate, Alpha-Arbutin, Silybum Marianum (Milk Thistle) Extract, Sodium Hyaluronate (L), Phenyl t-Butylnitrone (Spin Trap), Honey, Hyaluronic Acid, Peumus Boldus Leaf Extract, Glycine Soja (Soybean) Protein, Phospholipids, Aminobutyric Acid (GABA), Sphingolipids, Mentha Piperita (Peppermint) Oil, Lavandula Angustifolia (Lavender) Oil, Proline (L), Trehalose (D), PCA (L-pyroglutamic Acid), Pipecolic Acid (L), Mannitol Alcohol, Xanthan Gum, Benzyl Alcohol, Fragrance (Natural). I have been using the Arcona line for several months now and love the results. My skin is clearer and brighter and the instant magic makes it feel instantly firmer. When I first heard about this product, I thought it was too expensive. Then I tried it. It is worth every penny. My skin has never looked so good. . . smoother, healthier and younger. I highly recommend this product.